SELLER OFFERING SOME SELLERS ASSISTANCE WITH ACCEPTABLE OFFER. Spacious home with large rooms and an office on an acre is just minutes from the Shrewsbury exit! Red Lion School District. 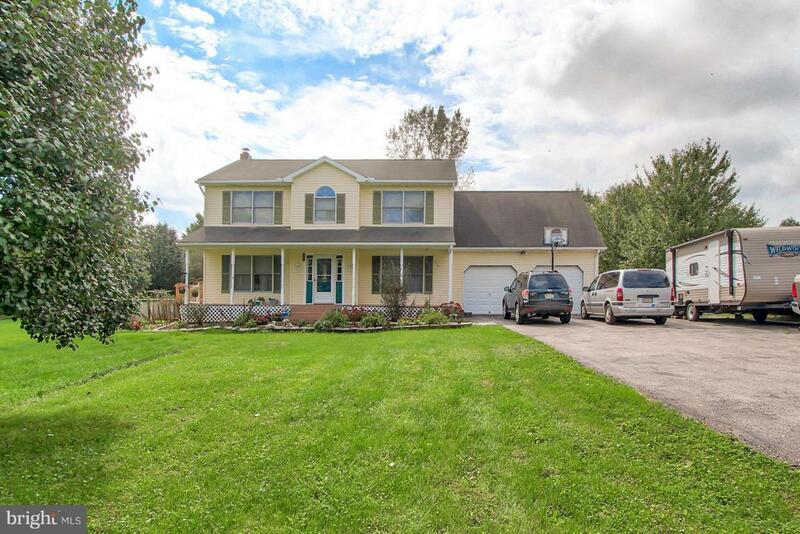 3 bedrooms and 2.5 baths with a heated bonus room over the garage! The fireplace in the Family room adds a special glow to your evenings! New carpet in most rooms! Master bedroom has a sitting area. Sit on the deck and enjoy the fenced back yard that backs to a field. If the electric goes out, no worries with the automatic generator! Basement is ready for your choice of a coal or woodstove! Large bonus room over the garage is heated! Bring your boat or RV! Above ground pool liner has a leak. An HSA warranty is included! Propane tank is owned.